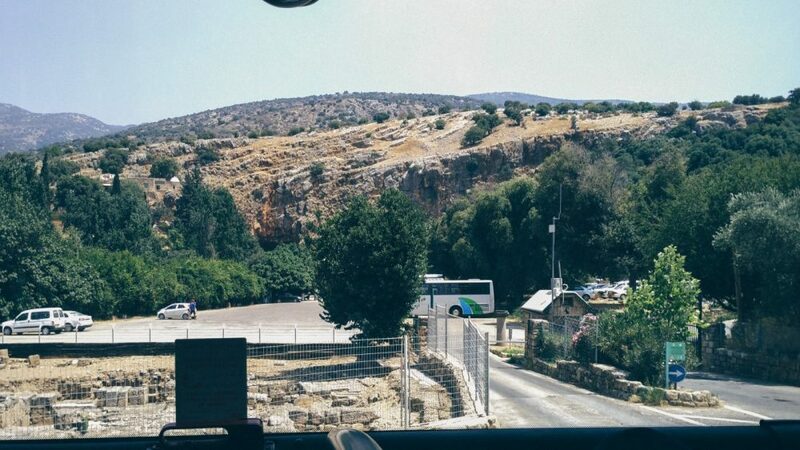 After an amazing evening sailing at the Sea of Galilee, the next morning we go to the beautiful Mount Hermon. Another surreal experience being at the mountain top. Such a beautiful place which I will try to share in the best way possible. Jabal al-Shaykh or “Mountain of the Chief” in Arabic, or Jabal Haramun. In Hebrew, Har Hermon or “Mount Hermon”. 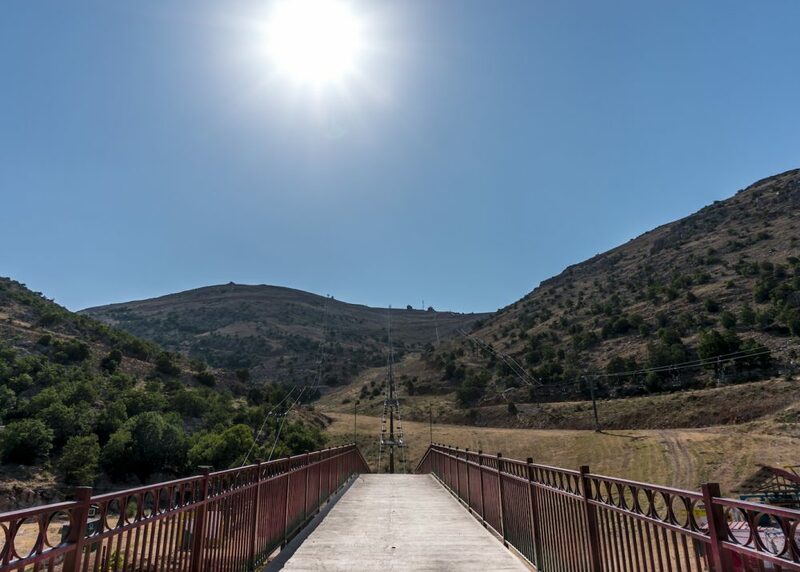 It is one of the most scenic mountains in Golan Height. A cluster of mountains with three summits about the same height. It straddles the borders between Israel, Syria, and Lebanon. 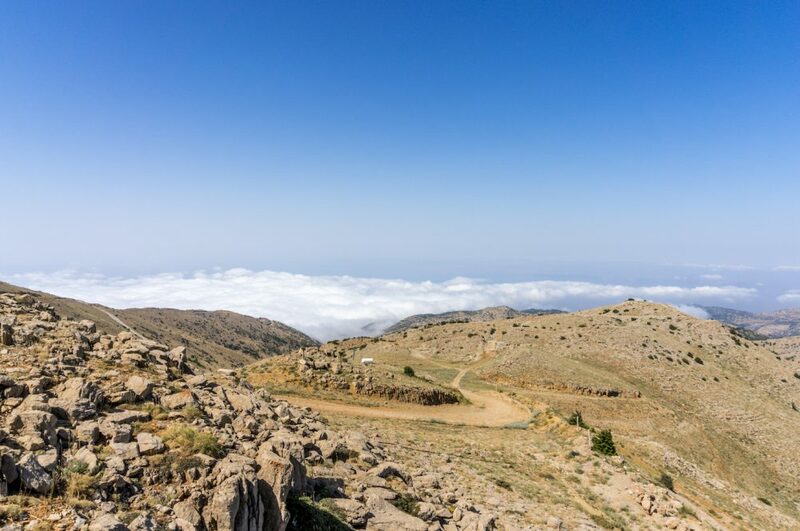 At 2,814 m (9,232 ft) above sea level, it is the highest point in Syria. 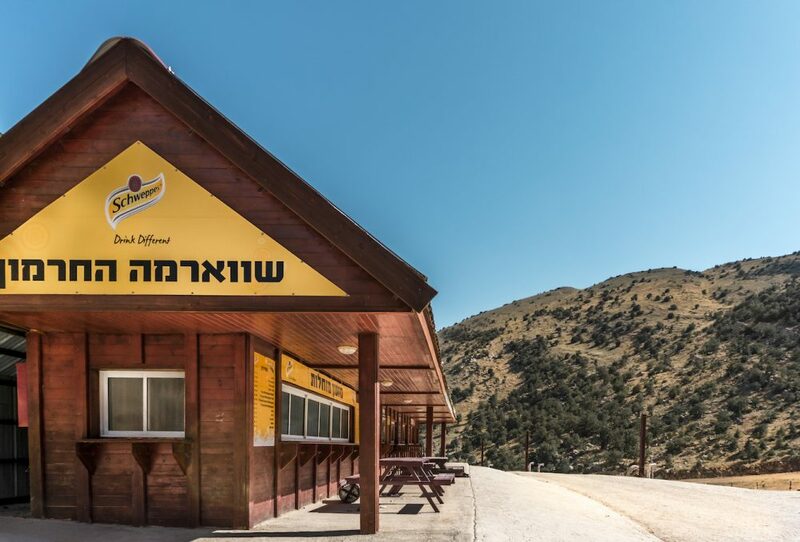 On the top of it, in the United Nations buffer zone between Syria and Israeli-occupied territory, is the highest permanently manned UN position in the world, known as “Hermon Hotel”. 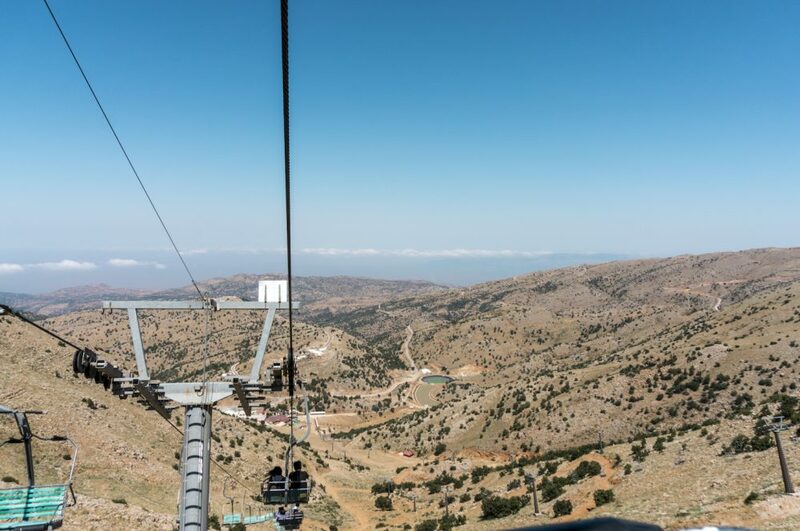 The southern parts of Mount Hermon extend to the Israeli-occupied portion of the Golan Heights, where the Mount Hermon ski resort is located. A peak in this area rising to 2,236 m (7,336 ft) is the highest elevation in the Israeli-controlled territory. 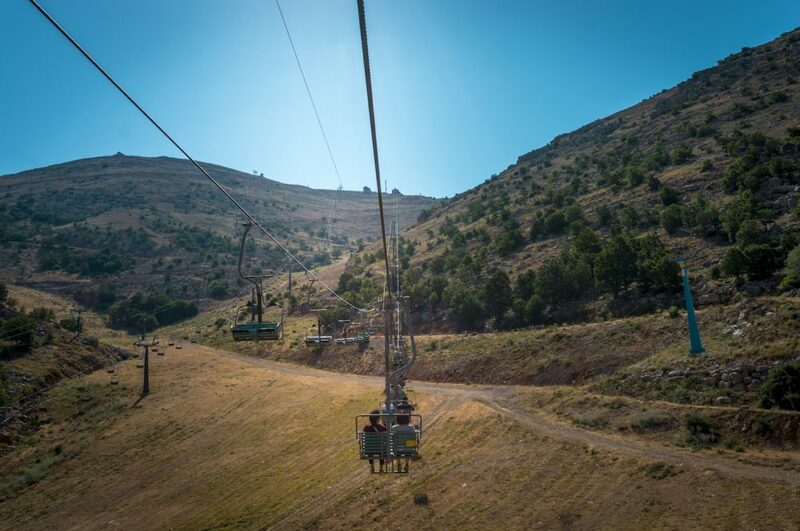 Mount Hermon forms one of the greatest geographic resources of the area. Its range covers an area of about 1,000 km2 (390 sq mi), of which about 70 km2 (27 sq mi) are under Israeli control. This mountain is considered as a hot zone. But it’s safe enough to go. At least, that’s what Mr. Dani said. As we’re going up on the road to the mountain, I noticed we’re passing some checkpoints or military posts along the road. Tanks and military vehicles are still in their posts plus some military soldiers with their guns for each post. Mr. Dani started to explain about this Mount Hermon. There are a lot of interesting stories about this mountain. But, these are some of them that I think worth to share. 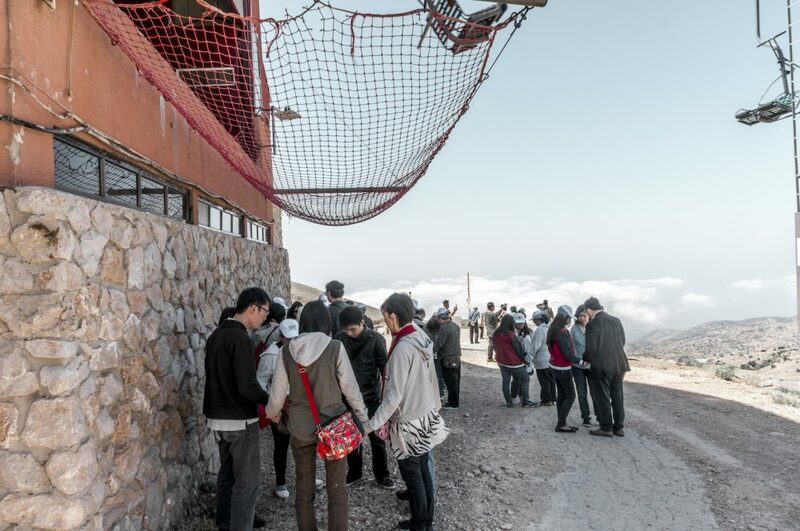 In winter, Mount Hermon is covered with snow! 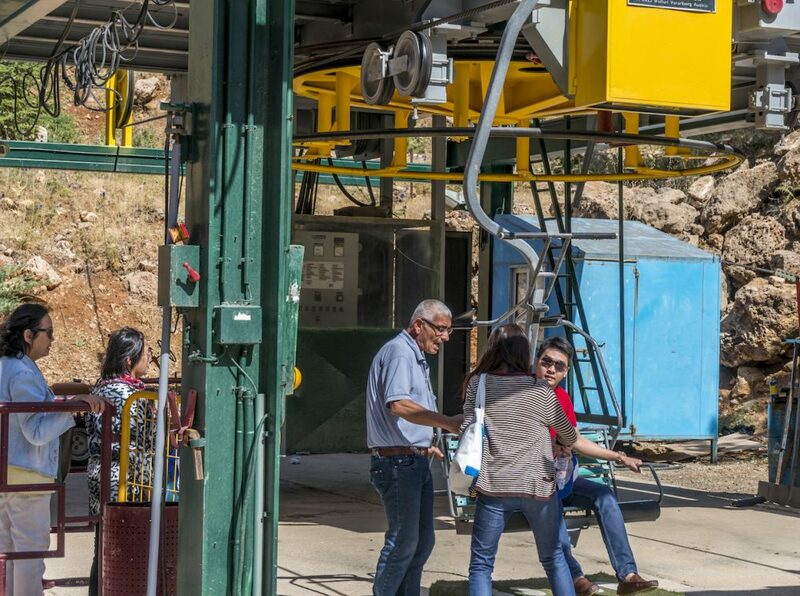 And packed with thousands of Israelis coming to see and ski the only snow they have in Israel. 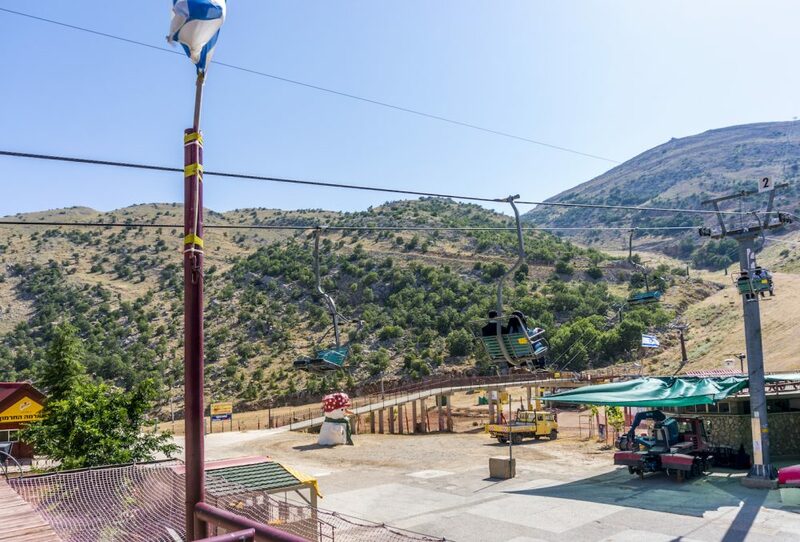 People say Mount Hermon is the only “real” Mountain in Israel, and that all the other Mountains are just high hills. 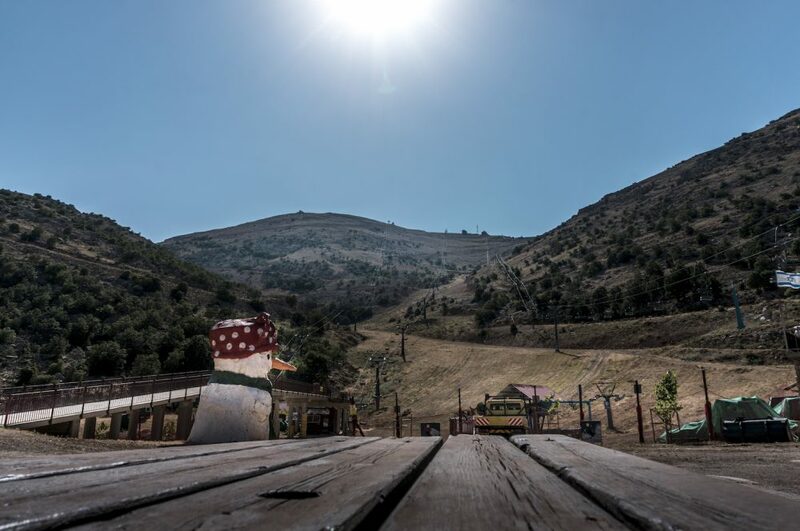 It’s so dry on Mount Hermon that it is actually one very dry area of the world. 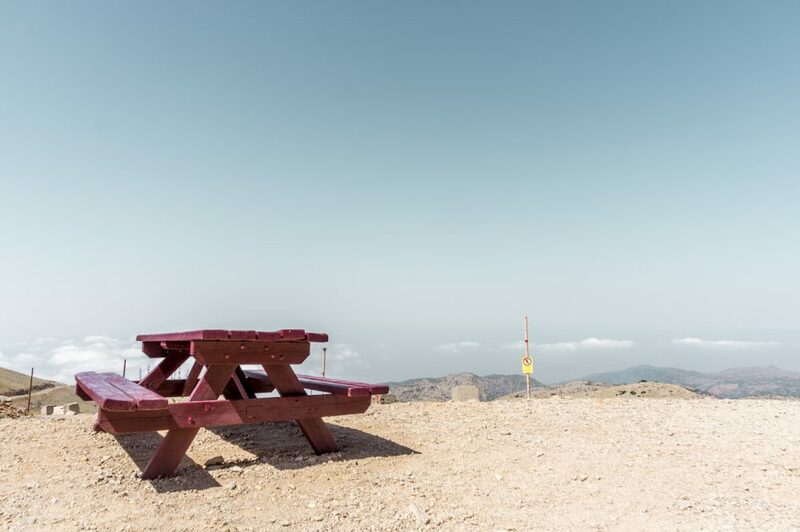 The highest point on Mount Hermon is home to sophisticated and latest technology Radar and Tracking systems of the I.D.F (Israel Defense Forces – the Israeli army) who are part of our strategic advantage over Syria. In the year 1973 as part of the “Yom Kippur” war, Israel took over Mount Hermon from the hands of the Syrians. I don’t know why but I’m really into the story about the conflict in Israel. 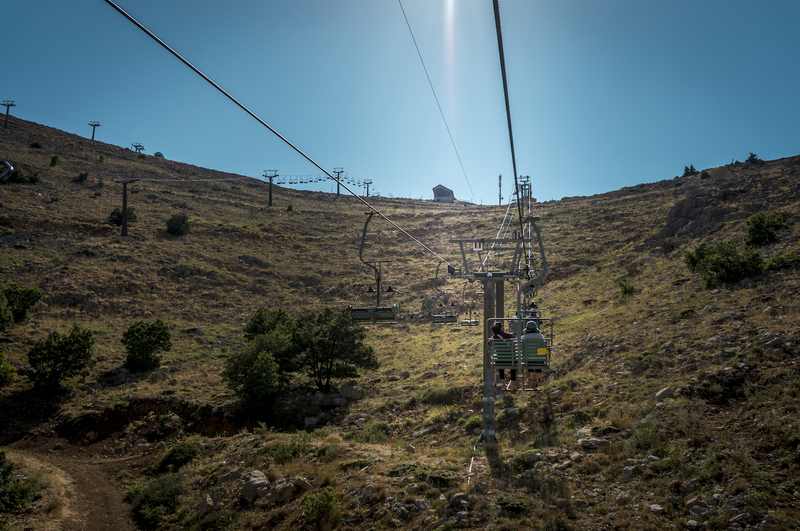 This Mount Hermon is one of many territories in Israel that has a lot of stories to tell due to the conflicts. Mr. Dani told us a lot about the conflict with Syria, how this site is actually a hot zone, a dangerous one. It’s supposed to be closed for tourists since things going hot with ISIS raising up in Syria. But somehow they still allow tour buses to come. During the Six-day war in June 1967, a part of Mount Hermon in Syria was captured by Israel. It was regained by Syria on October 6, 1973, the first day of the Yom Kippur War, following the First Battle of Mount Hermon. Israel recaptured both the formerly Israeli-occupied sector and the pre-Yom Kippur War Syrian-controlled sector on October 21, 1973, during Operation Dessert. The pre-Yom Kippur War Syrian-controlled sector was returned to Syria after the war. 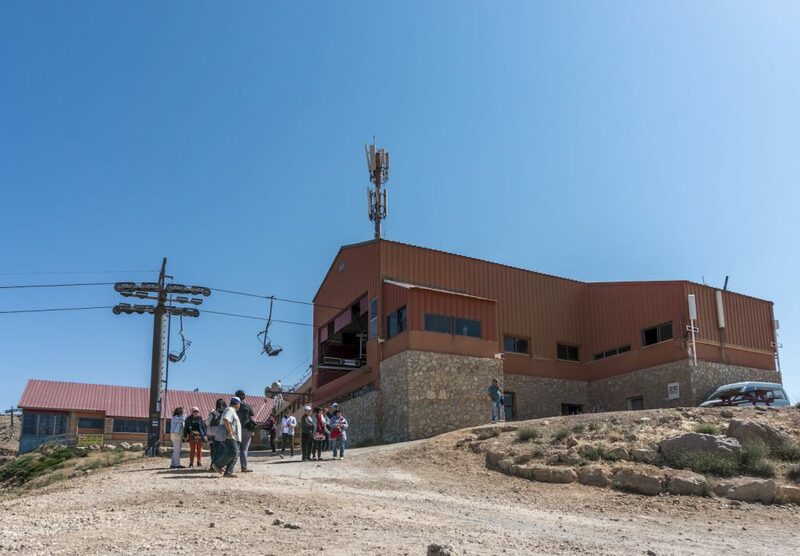 The Israeli-occupied sector of the mountain became patrolled by the Israel Defense Forces and the Israel Police, and the Israeli Security Forces have maintained a strategic observation post for monitoring Syrian and Lebanese military activity near Mitzpe Shlagim (“Snow Lookout”), which is at an elevation of about 2,224 m (7,300 ft). 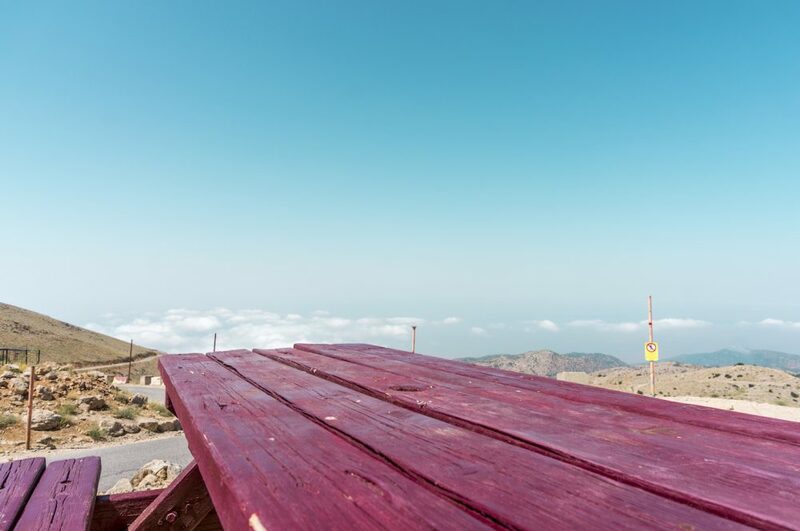 Its neighboring peak, at 2,236 meters (7,336 ft), is the highest elevation in an Israeli-occupied territory. 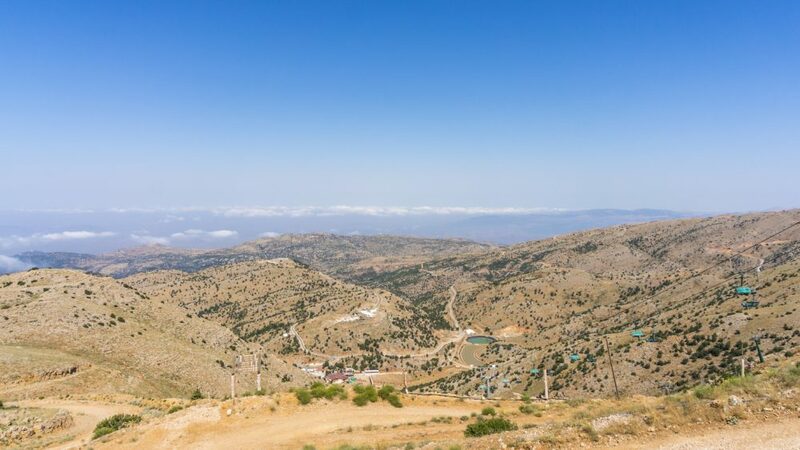 Since the onset of Syrian Civil War, the Syrian-controlled Hermon has continued to be under pro-Assad forces, though clashes have sporadically erupted on the mountain range and spilled into Lebanon and the Israeli-occupied portion. 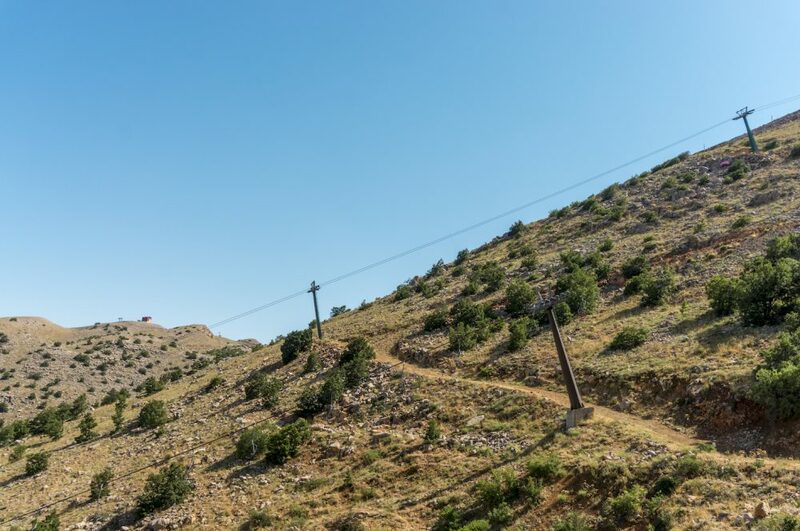 Most notably the Islamist rebel factions of Jaish al-Haramoun took part in the fighting on the Southern slopes of the mountain. 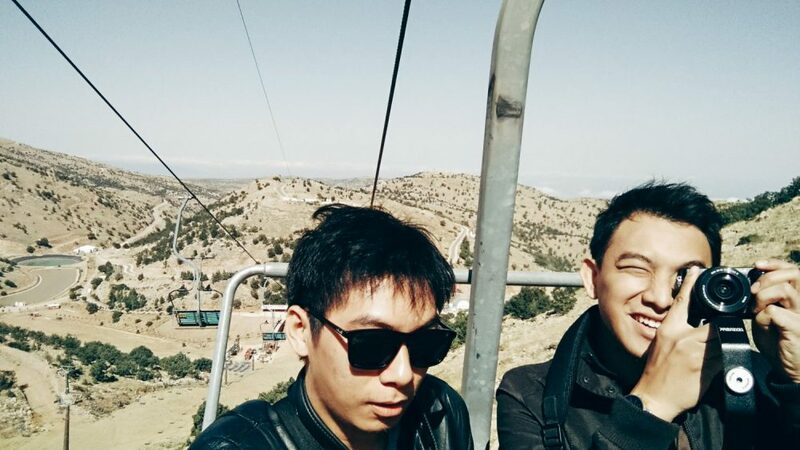 Mr. Dani said that since ISIS, it’s harder to go to Mount Hermon. 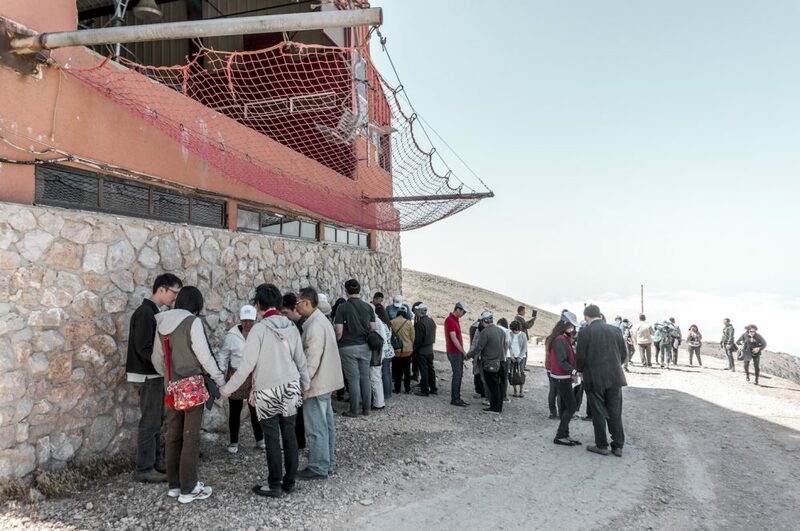 The government tries to limit the number of tourists visiting this mountain due to a safety issue. Anyway, listening to his story makes time really fast. All of a sudden we’re almost there, where I can see the clouds by the mountain side, it’s literally outside my window. I can see clouds in eye-level, we’re literally above the clouds. How amazing is that? Bus park at the entrance. Mr. Abraham parked the bus just before the entrance to the site. There’s no one in sight, looks like we are the first one to arrive. It’s a sabbath day, maybe that’s why this place looks like closed. They have small stalls supposed to sell souvenirs, food, and beverages. But none open that morning. Immediately I noticed how this spot looks so cool and authentic. Mountain style it is. I imagine that it will be ten times better in winter with snows everywhere covering up the mountain as far as the eyes can see. What a dreamy fantasy in my head. Here’s how it looks right after the entrance. Sitting on one of the bench. I guess in holiday season especially winter, this place will be crowded with skiers and tourists. How cool it is to enjoy drinking on this ski resort enjoying such a mountain vibe. We’re waiting for Mr. Dani to take care of our tickets to ride the lift cable to the upper station. An all day lift ticket cost NIS 135. 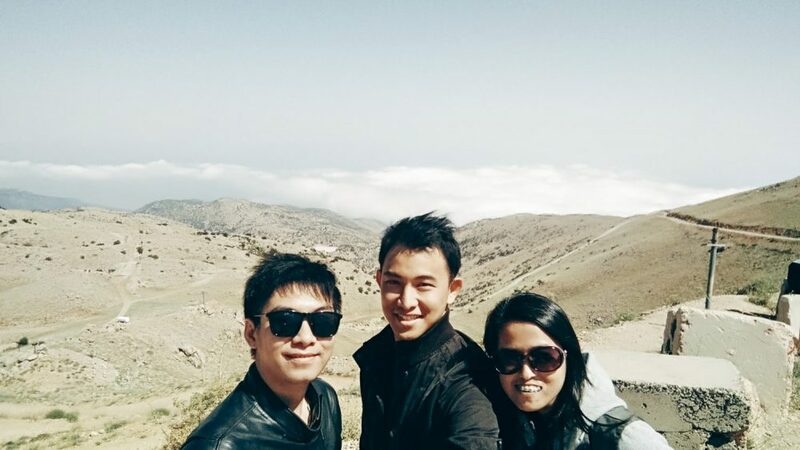 Do check for weather forecast if you want to go to Mount Hermon. It’s really dry up here, that I noticed a crack on my lips, so I suggest use a lip balm, vaseline, or something. Things done with the tickets, so we’re queueing for the lift cable. You go two persons at a time. Just take it easy and follow the instruction for your own safety. Just remember don’t hesitate to get on the lift, it will only harm you. 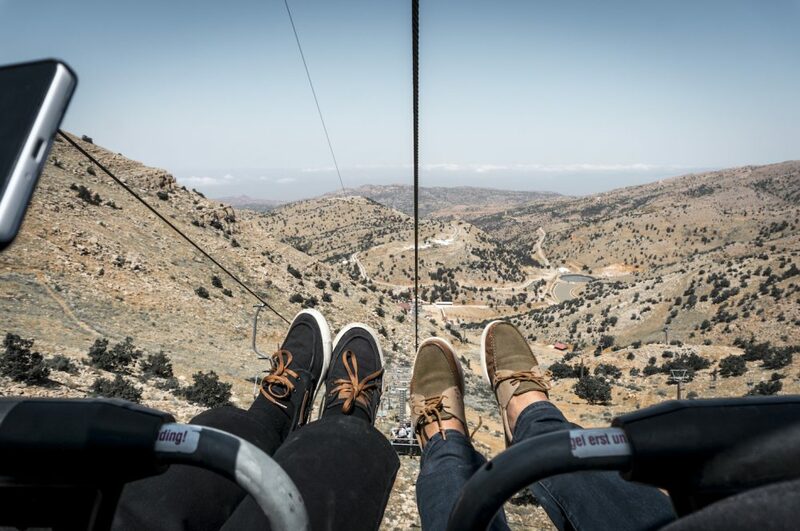 Basically, you’re gonna be standing in a certain spot and the cable ride with come to you from your back, you just have to sit and pull down the safety. The ride took quite a long time, more than 15 minutes if I’m not mistaken. And it’s getting higher and higher, there are two persons in our group that actually decided to stay because they have a phobia of height. Feel sorry for them, the view is worth many times. I guess what makes it kinda scary but so much fun at the same time is that the wind is quite strong. So it’s one bumpy-shaky ride. Once you’re on the lift, there’s nothing you can do but to embrace the fact that your life is in God’s hand now. But hey, it’s one hell of a view to die with. LOL! It’s pretty scary, though, to take a shot with camera and phone knowing that you can lose it anytime. What if I lose my grip and my camera fall? But then, still, I tried to take a shot with a very tight grip to the camera. 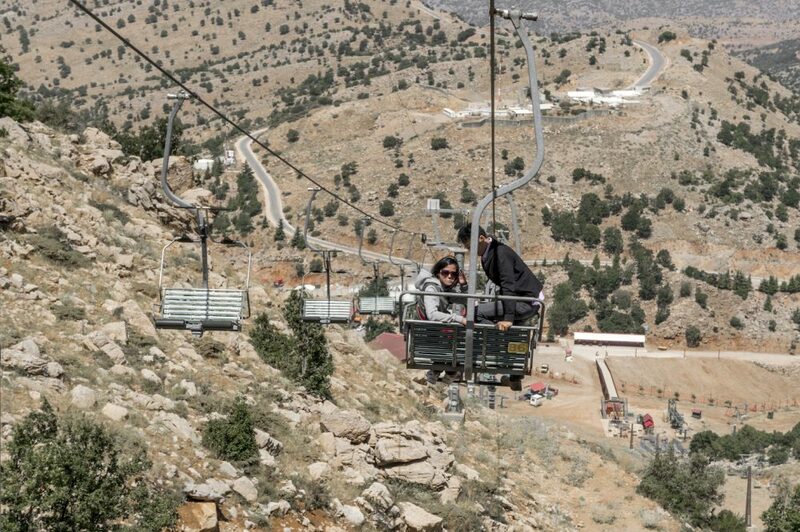 As you can see, we’re getting close to the upper station with the cable starts to go 45°. 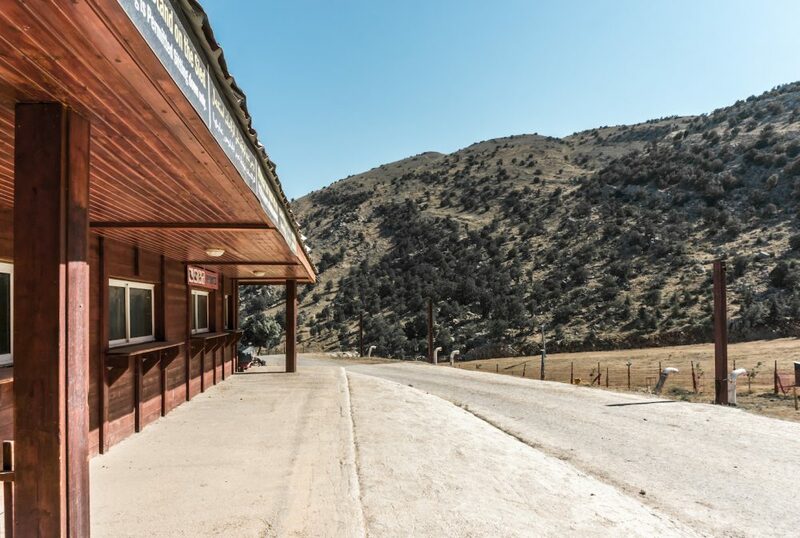 Tell you what, once you’re up here, you will definitely forget every scary sh*t you’ve been through from the lower station to the upper station. It is freaking amazing. The view is one of the most beautiful scenes I had in Israel. I don’t know how to describe it, but it’s the best! See for yourself. As usual, our pastor called us to gather and gave a short session. Where in the end, we had a group prayer. It’s incredibly amazing. Feels so different to pray in this place at this mountain height. Everybody seems to go really deep in their prayer. Families gather together, husband and wife, friends, holding hands and pray. I think this is such an original moment to capture. A photo that tells a story. I love this moment. Up to 10 minutes of prayer session before we finally see another pilgrim group arriving at the upper station. Mr. Dani brought us back to the cable lift to go back down to the lower station. Time to say goodbye to this view. Is there such thing as shoe-fie? By the way, it’s an illegal thing to do. 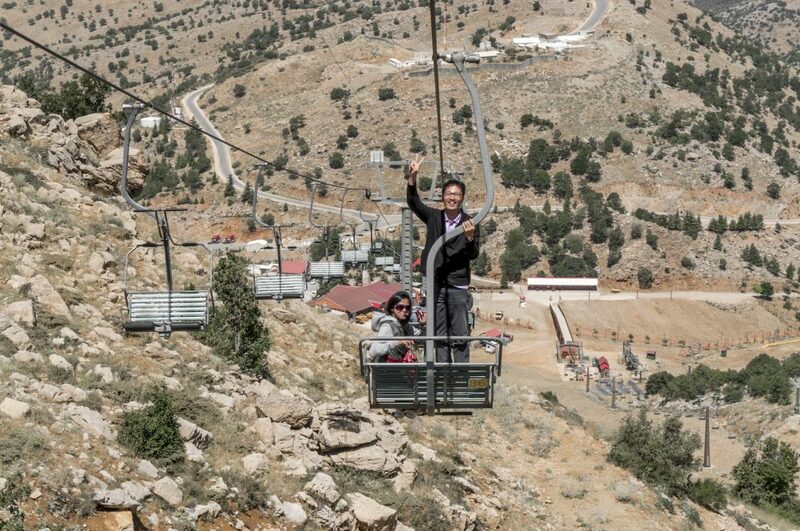 They clearly stated not to do anything dangerous while riding the lift. Clearly prohibited. But… Tourist…. We get back to our bus to proceed to the next stop. We’re having lunch at Thai Village, a vacation site located on the shores of the Jordan River, at the entrance to Kibbutz Sde Nehemia, in one of the loveliest beauty spots in the northern Galilee of Israel. This place is not just very beautiful but really worth your time, money, and your sacrifice ignoring your phobia. Hahaha… It is! Please, just for a short time, forget your phobia, don’t be afraid, just ignore it and go up there. You won’t regret it. I really wonder how this place looks like in winter with all the snows cover everything. Magic that I surely put on my bucket list. It’s pretty cold even in summer. I can still feel the sun burning my skin, it’s the cold wind that helps to cover it up. Don’t forget to use sun lotion. 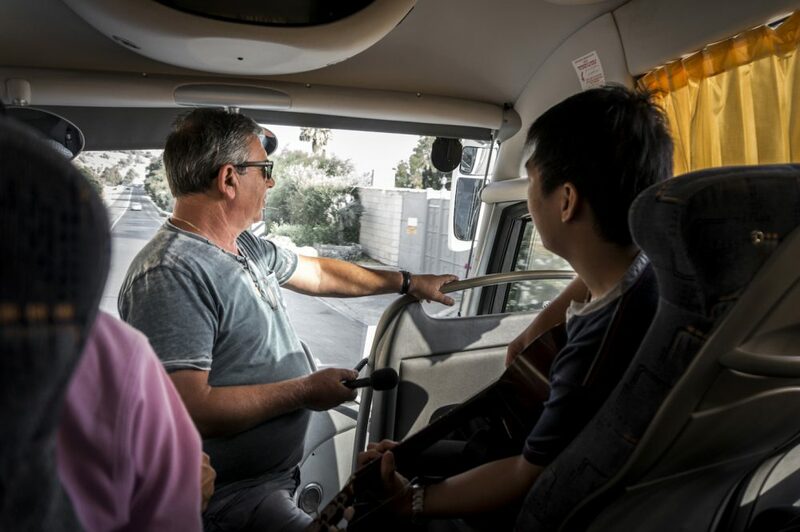 It was my second day in Israel and surely the best feeling compared head-to-head with the Sea of Galilee experience. They both are amazing. I am really excited of what’s coming next in our itinerary of Israel pilgrim trip. But for now, I will end this post here. Thanks for reading this story. 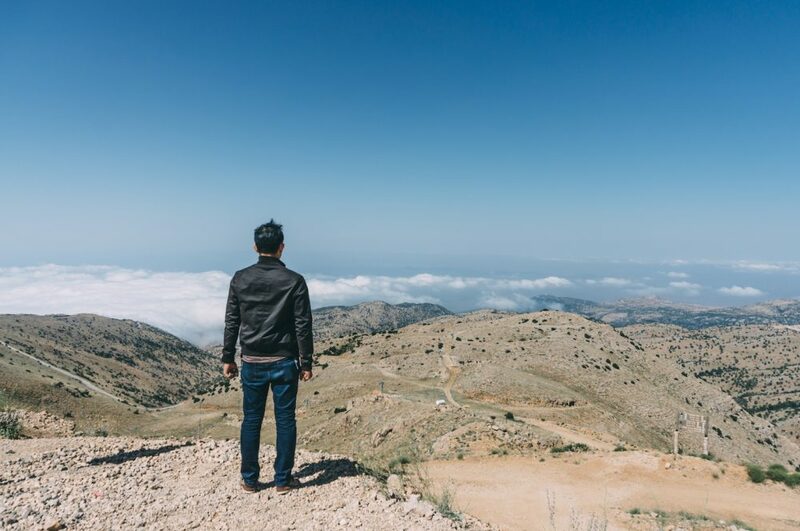 I hope this will inspire you and gives you a wanderlust feel to go see Mount Hermon yourself. Please help me with a little bit of kindness. Like, subscribe, share, follow, anything to support me to keep doing this. It feels great to know if someone’s reading. Don’t forget to leave a comment! Until next post, bye! Here’s a bonus. 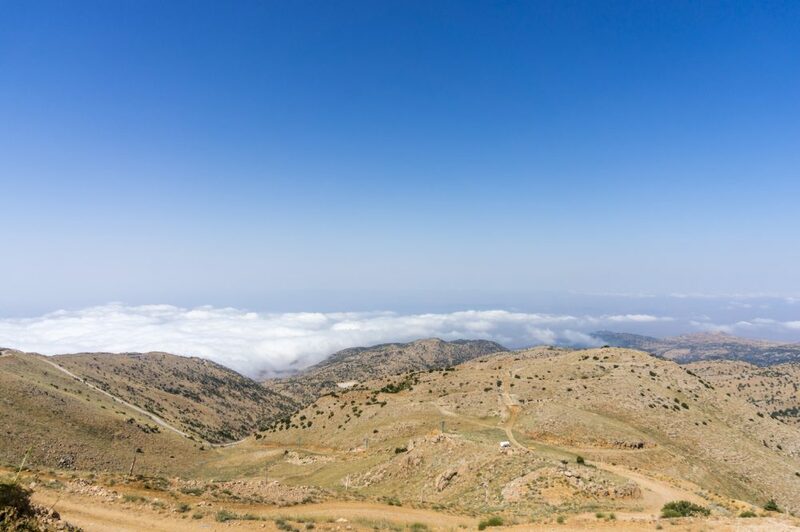 Panorama shot of Mount Hermon.